Japan’s Hitomi Space Observatory has taken its first steps in orbit, deploying an extendable optical bench to be able to deliver the best spectral data ever achieved in the high-energy X-ray range, generating high-resolution spectra and images across a wide band in soft and hard X-rays. Hitomi, launched under the name Astro-H, is hoped to deliver a new look at the most extreme environments in the Universe to uncover the mechanisms driving the evolution of galaxy clusters over billions of years. 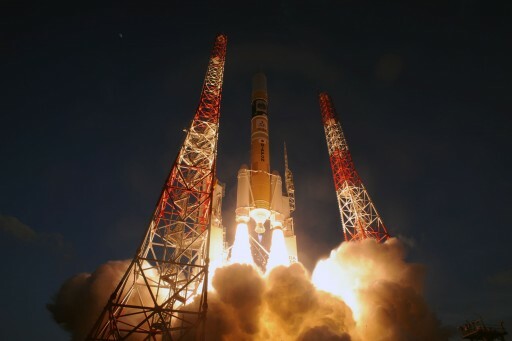 The 2,700-Kilogram Hitomi observatory enjoyed a smooth ride into orbit atop an H-IIA rocket blasting off from the picturesque Tanegashima Space Center on February 17. H-IIA sent the spacecraft on its way 14 minutes after liftoff along with three secondary payloads. Hitomi entered an orbit of 565 by 581 Kilometers, inclined 31 degrees to the equator, marking in on-target orbital delivery. Before launch, the spacecraft was known as Astro-H as the sixth in a series of Japanese X-Ray observatories. 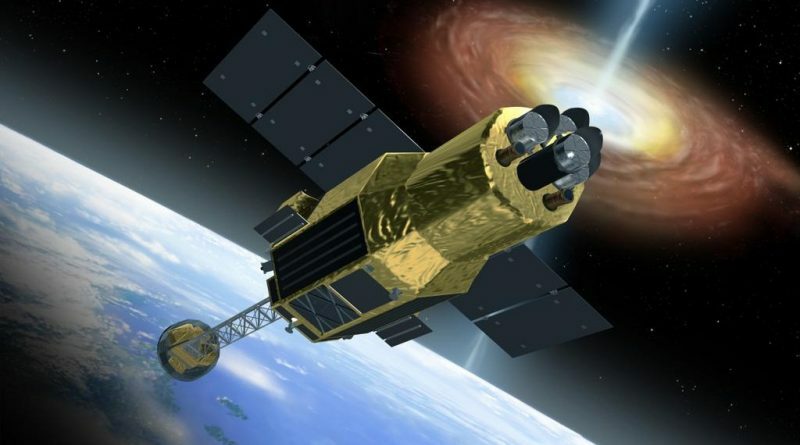 With its successful arrival in orbit, the observatory received the name Hitomi which generally means eye, specifically the pupil – an apt name for a mission peering deep into the universe to become the sharpest eye in the X-ray universe. Immediately after its arrival in orbit, Hitomi stabilized its orientation, deployed its solar panel and initiated communications with the ground to kick off a ten-day critical phase dedicated to checkouts of the spacecraft, systems activations and deployment events. As part of its initial operations phase, Hitomi activated the cooling system of its detector system, cooling the Soft X-Ray detectors down to a temperature of 50 Milli-Kelvin, just above absolute zero. The expected temperature was reached on February 22 and test operations of the Soft X-ray Spectrometer were initiated. The major event of Hitomi’s first weeks in orbit was the deployment of the Extensible Optical Bench (EOB). 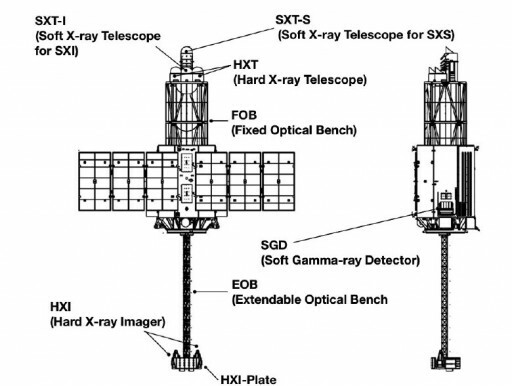 The EOB extends towards the nadir side of the spacecraft and consists of a truss structure and an electromechanical deployment mechanism, plus a highly accurate metrology system measuring the alignment of the X-Ray optics with the optical bench. In total, the EOB measures 6.3 meters in length when fully deployed and brings the total length of the observatory to 14 meters. Hosted on the EOB are the Hard X-Ray detectors to reach the required focal length of the Hard X-Ray Telescopes. With the successful deployment of the optical bench, Hitomi’s Critical Operations Phase was complete and the mission headed into one and a half months of instrument activation and functional checkouts to systematically power-up the detector systems and verify their electrical circuitry. Afterwards, calibrations will begin to fine tune the measurement sequences in order to get the expected performance out of the instruments. Hitomi is planned to initiate regular observations of the X-Ray Universe around three and a half months after launch, opening up a new window on the universe with unprecedented measurements across a wide energy range. The Hitomi project is led by the Japan Aerospace Exploration Agency with contributions from NASA, Europe and Canada as well as international universities. It is the sixth in a series of Japanese X-ray observatories that debuted back in 1979. 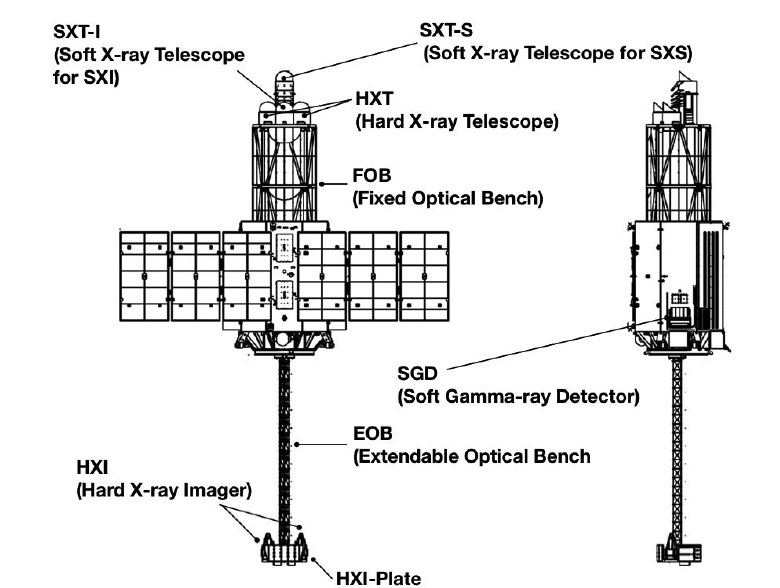 Hitomi carries pairs of telescopes – two sensitive in the soft X-ray range the others capable of detecting hard X-rays. One telescope is coupled to an imaging detector while the second telescope of each pair feeds a spectrometer to be able to collect X-ray imagery and spectra of the same sources at the same time. 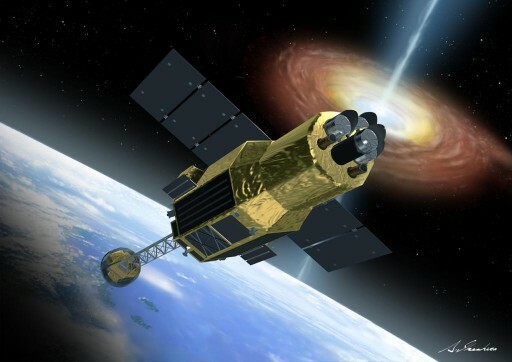 The Hitomi mission is expected to deliver breakthrough results in a diverse area of science, ranging from the large-scale structure of the universe and its evolution to the behavior of matter in strong gravitational fields, the physical conditions at sites of cosmic-ray acceleration, and the study of dark matter in galaxy clusters. 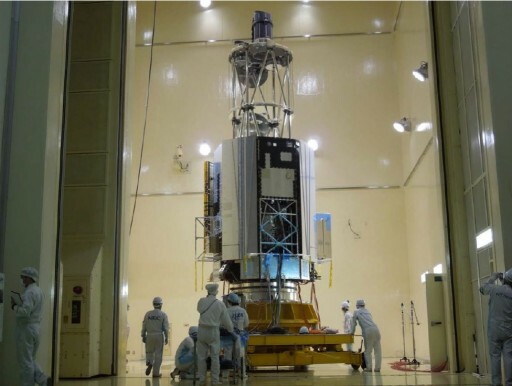 Hitomi is hoped to be the first mission to successfully use microcalorimeters as detectors, offering a much higher resolution than conventional CCD detectors. Microcalorimeters were previously flown on sub-orbital tests, but have not yet seen operational use in orbit after an earlier mission failure.